In Sahih Bukhari (Vol:8), an incident was recorded involving three random women, Aisha (RA) and our beloved Prophet (PBUH) to shed light on the importance of giving Zakat. Once, a poor lady and her daughters were roaming around the localities asking for alms to provide for their food. Eventually, they landed on the doorsteps of Aisha (RA) to ask for help. Aisha (RA) found nothing in her house that day, except one date and she gave it to these hungry women. The old lady took the date with gratitude and divided it among her daughters evenly and three of them went away. This Hadith clearly teaches us two things. One, you should never return a needy person empty-handed from your doorsteps, and should help them with whatever you have. Secondly, Allah will show you mercy both in this world and in the Akhirat, only if you show mercy to the poor and needy by relieving their sufferings and agony in this world. Therefore, Islam has introduced us the concept of Zakat, and made it the third fundamental pillar of belief to ensure that all wealthy Muslims are giving alms every year to heal the pain of the helpless people while gaining the mercy of Allah the Almighty. Giving Zakat is very important in Islam because it purifies one’s wealth and soul. Zakat removes the sins of the giver and it helps to reform his character by removing negative vices like greed, lust and envy. Zakat saves the giver from misery and also increases his wealth. Giving Zakat is crucial for the well-being of the needy as well as the ultimate peace of the wealthy. We should realize the strength vested in our hands in the form of Zakat and learn to harness it to uplift our needy community from poverty, sickness and isolation. All affluent Muslims must understand the importance of Zakat and start giving it now. “Human Appeal Australia” (HAA) aims to strengthen humanity’s fight against poverty and social injustice. HAA believes that establishing stable health care, education and income generation programmes, paves the way for empowered, self-serving communities. We also recognize that the provision of food, medical aid and emergency shelter in times of humanitarian crises is essential for the immediate preservation of life. A leading international humanitarian development organization, that values human life and dignity, embracing justice and equality in a world free of suffering and poverty. We provide immediate aid and effective long-term sustainable development. We empower communities to be self-reliant and independent. We serve people who need it most, relieve their suffering & transform their lives for the better. Zakat is a spiritual obligation for Muslims to be carried out once a year. It is an act of donating a certain amount of your wealth (2.5%) to the poor and needy. The distribution of Zakat has many benefits for the individual and society at large. HAA accepts Zakat donations and distributes it according to Islamic laws. “Islamic Relief Australia”(IRAUS) is a team of Australian volunteers, supporters and staff who together seek to address injustice and empower communities. We are proud of Islamic Relief Australia achievement’s in serving the less fortunate in the past 7 years, and we look forward to continue progressing towards fulfilling our mission and delivering on our vision for the future. Exemplifying our Islamic values, we will mobilize resources, build partnerships and develop local capacity. The literal meaning of Zakat is ‘to cleanse’ or ‘purification’. In the Islamic faith, Zakat means purifying your wealth for the will of Allah SWT; to acknowledge that everything we own belongs to Allah SWT and to work towards the betterment of the Muslim Ummah. According to Islamic regulations, Zakat is 2.5% of one year’s total cumulative wealth. This amount is then distributed to the poor. Prophet Mohammad (PBUH) has said “Whoever pays the zakat on his wealth will have its evil removed from him” (Ibn Khuzaimah and at-Tabaraani). Some people might think Zakat is a form of tax. It is not. Zakat and tax are two entirely different things. One is a spiritual act and an obligation as a caring human being and the other is a requirement of secular law. Islamic Society of Darwin Aid uses these funds to help poor communities in Darwin. Zakat funds also go towards emergency relief in case of natural disasters and Tsunamis such as Syrian Emergency Appeal. “Muslim Aid Australia (MAA)” is an International relief & development agency, that believes in supporting & assisting the world’s poorest & most needy communities regardless of race, religion or nationality. Since 1989, MAA has supported projects in over 50 countries around the globe, spanning Africa, Asia & Europe. We have helped millions of people around the world with our quick and responsive emergency assistance as well as our on-going long term projects. Our vision is for MAA International to become not only remarkably successful in alleviating the poverty and suffering of the communities in need, but become an essential organization within the Humanitarian Aid industry; to our beneficiaries, donors and all stakeholders. Our mission is for MAA International to make every effort to bring humanity closer together, through supporting and assisting the world’s poorest and needy communities by responding quickly to emergencies, and undertaking sustainable development projects to break cycles of poverty. MAA International will demonstrate the Australian identity through universal compassion, peace building, dignified living, and active citizenry, both locally and globally. Providing the Muslim community with the most effective and accurate means of Zakat. This Ramadan, let’s all strive to do our best for those less fortunate. Without a doubt, feeding someone and bringing a smile to their face brings an unbelievable feeling, but imagine helping them with a life-changing, income-generating gift? MAA plans to expand on the work we are already doing by helping families with these Income-Generating Gifts. That’s why this Ramadan, we’ll not only feed thousands of families around the world, but we’re also implementing long-term sustainable solutions to change peoples’ lives. “United Muslims of Australia (UMA)” is a nonprofit community, and Islamic Dawah organisation that focuses on reviving the Islamic spirit in people’s lives in accordance to the Quran and Sunnah within a balanced framework of Islamic teachings. The UMA Centre was established in 2002 as an alternative venue for the Muslim youth to socialise and participate in a variety of educational, recreational and religious activities. It is currently Australia’s largest Islamic Youth Centre that caters for the increasing needs of the growing Islamic community within the country. The centre offers its members and the wider community a variety of quality services and activities. It reminds Muslims of the fact, that whatever wealth they may possess is due to the blessings of Allah and as such it is to be spent according to the His commands. Zakat payer pays his dues to Allah as an act of worship, a token of submission and an acknowledgement of gratitude. The receiver of Zakat receives it as a grant from Allah out of His bounty, a favour for which he is thankful to Allah. The UMA Zakat Fund enables the Muslim community with the opportunity to fulfill its religious charity obligations, by providing Muslims with an avenue to give Zakat. The Zakat is in turn distributed to people in need. A great portion is also integrated within our other major Dawah initiatives to sponsor students who are seeking Islamic knowledge abroad (entitling them to receive Zakat). The Zakat Fund is also used to assist new Muslims and sponsoring Du’aat (Callers of Islam) who are in need of financial assistance and fit into the Zakat recipient category. The UMA Zakat Fund does not take any percentage for administration cost. 100% of all monies received by the UMA Zakat Fund will go directly to the Zakat recipients. The Australian needy and vulnerable population was always assisted by regular charitable giving of the Jewish and Christian philanthropists. When we are talking about uplifting the poor and needy from their miserable condition,we cannot ignore the 340,000 Muslim residents living in Australia, who can extend their helping hands to alleviate social issues in this country based on their religious commitment of giving Zakat. It is a positive sign that Australian Muslims already give their Zakat annually. 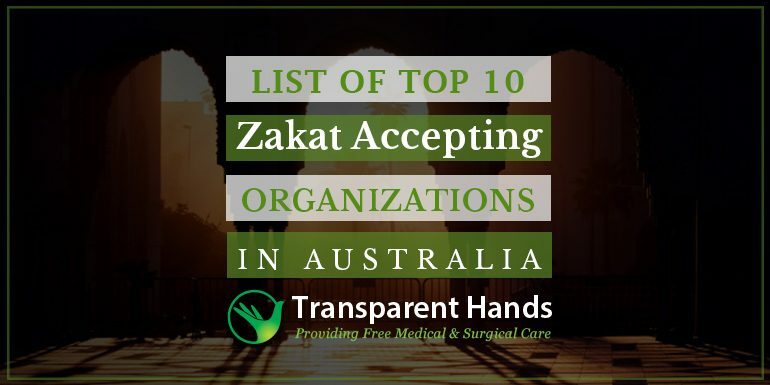 Australian Muslims either donate their Zakat money to nonprofits which uses this Zakat amount to fund their charitable projects for the welfare of society. Australian Muslims also distribute this money in one’s home town or villages of family origin, to help their communities and often they give it individually to people in need in their localities. Many Australian Muslims are doubtful about the effectiveness and honesty of voluntary organizations, so even if they are willing to give the money to help the poor but their distrust and hesitation don’t allow them to donate their Zakat amount to the deserving organization. We need to understand that not all organizations are corrupted or involved in wrongdoings. There are organizations that are well committed to bringing a positive change in our society and are devoted to uplift vulnerable lives every day. At present many non profits have evolved into crowdfunding websites, giving the donors a fair chance to donate their Zakat money to recipients that they want to support for healthcare, education, accommodation or other personal needs and then receive continuous updates on how their Zakat donation is being used to fulfill the good intention of the donor. Nonprofits have introduced a revolutionary change in the charitable sector by bringing the community together under one platform, and encouraging them to give charity in order to fix the lives of the most vulnerable and broken people. Let us put our Islamic learning into practice and donate our Zakat money to deserving organizations for the sake of humanity.